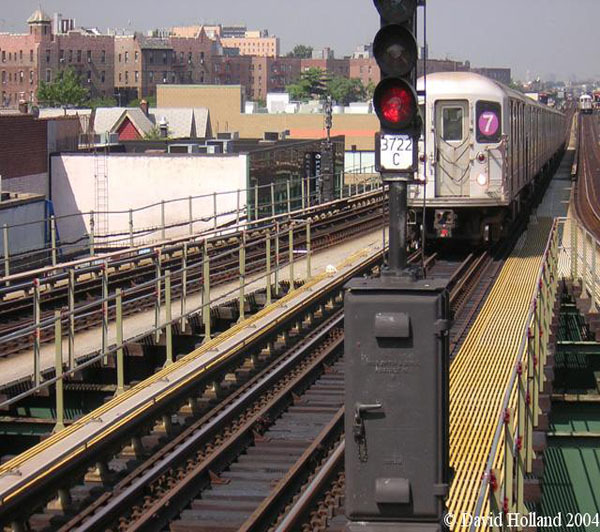 MTA Approves $1.4 Billion 7 Train Extension! This is according to William Neuman of the New York Times City Room blog who broke the story a little over an hour ago. The MTA board approved the $1.4 billion dollar contract to dig the tunnels for an extension of the 7 train. The current plan is to have the extension run to the Jacob Javits Convention Center with one new station being the terminal at 34th Street & 11th Avenue. He also had issues with the current plan scrapping calls for a 10th Avenue station on 42nd Street. His last concern was the fear that the project would have cost overruns that could prevent money from being used for other major projects such as the Second Avenue Subway. As it stands now the city is footing the bill up to $2.1 billion. The city & MTA have not reached an agreement on who would be responsible if the overall cost was to go over $2.1 billion dollars. MTA CEO Elliot G. Sander says the issue will be taken up when new contracts are issued for further work on the project. This is scheduled to happen in two years. It is sad to see that only one board member was thinking correctly about this extension. I personally do not support it due to the 7 train bursting at the seams as it is. If the MTA can handle these issues, create the more needed 10th Ave. station while not having it cost them much money if any at all, I would then support the project. However this is the MTA so I do not expect these issues to be taken care off properly initially if at all.